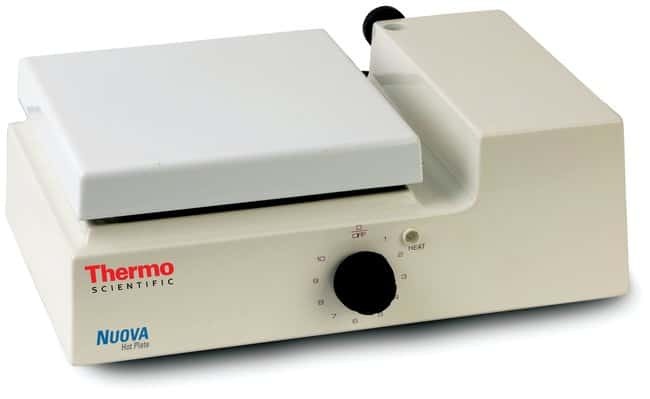 Save space with the compact design of Thermo Scientific Nuova Hotplates. These hotplates provide temperature uniformity and have a corrosion-resistant top. Save space with the compact design of Thermo Scientific Nuova Hotplates. These hotplates provide excellent temperature uniformity and have a corrosion-resistant top. Surface Area (English) Heating 7.0 x 7.0 in.